Social & Emotional / When will my little one be able to control his impulses and how can I help? Self-regulation is a fundamental skill for our socioemotional well-being since it allows us to have healthy interactions and relationships. It involves the ability to express and handle strong emotions, cooperate with others, cope with frustration, and solve conflicts. Self-regulation allows us to complete our daily activities by having a good enough handle on our emotions and impulses. For this reason, when children have trouble self-regulating, everyday tasks like sitting, paying attention, and interacting with peers, become more difficult. From birth to 4 years and further, children develop their self-regulation, learning it through interactions and with the guidance of adults. Actually, kind and responsive interactions with the caregiver are essential in this matter and are part of the “Co-regulation” strategy that teaches self-control. This strategy aims to provide the support, guidance, and modeling needed for children to understand, express, and regulate their own feelings and actions. It involves consistent and sympathetic responses with enough support and encouragement. But what can you expect from your little one at each stage? And how can you help him with co-regulation? At the very beginning babies have almost no self-control. They act naturally according to their feelings and needs, and are too dependent on their caregivers to be able to co-regulate. What can you do at this stage? You can teach your son how to soothe himself, how to wait even just for a little bit, and you can help him by making transitions smooth. Make sure to stay calm yourself, this will make him feel safe when he is frustrated. 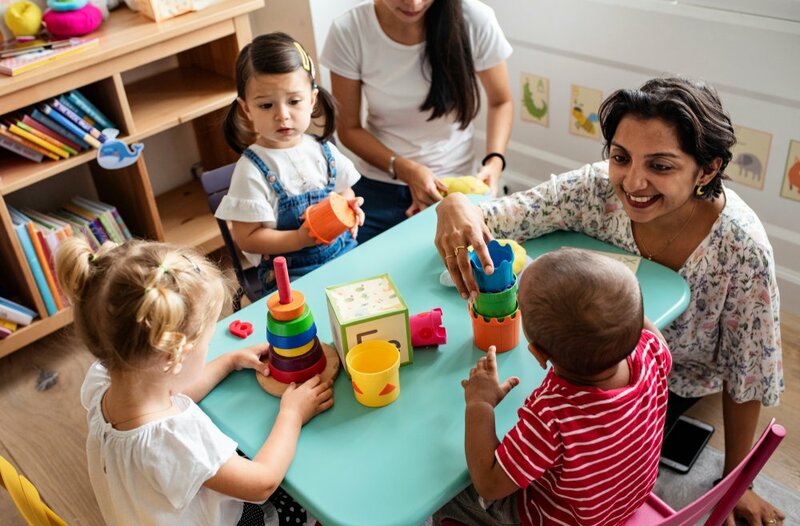 At this point, it’s very important that you have responsive and caring interactions with your little one, as these will be the foundations for later development of self-regulation. Why? With time he will learn that whenever he needs it, you’ll be there to offer support, and he’ll trust that you’ll take care of him. Although they are less dependent, toddlers still need help to self-soothe and regulate, particularly when they are irritated. Thus, even if they have more complex self-control skills, like being able to direct their attention to a certain task or rely on the support of caregivers to feel secure when they experience frustration, they have very strong desires and feelings that are difficult to control. Besides, they also go through an internal battle as they start to be more independent and want to emphasize it, but they also aren’t able to do most of the things they want. This can easily make them feel frustrated. What can you do at this stage? Implement routines and give your child the opportunity to make choices whenever possible. This will make your little one feel more confident and in control. You can also name and acknowledge your toddler’s feelings, making him feel understood, and helping him handle his emotions. A little later on, children start to understand that others have their own thoughts and feelings. By connecting their feelings to those of the other person (with help from caregivers), they develop empathy, which in turn helps them progress in their self-regulation skills. However, they are still incapable of restraining themselves from acting on their desires. What can you do at this stage? Suggest correct ways to act or solve conflicts by acting as a bridge to appropriate behavior; recognize your little one’s feelings, let him choose between suitable options, guiding him through the decision-making process; and teach him to wait, for example, by taking turns while playing. Keep in mind that it’s not till the age of 42 to 48 months that children actually have the ability to control their impulses and emotions, and resist their desire to do something prohibited. Having real expectations can also help you feel less frustrated! Continue helping your child develop self-control through co-regulation. If you want to know more about this or need more tips on how to foster self-regulation in your little one, be sure to check out these pages! Making 2019 the best year yet!